One night, when seas were high, a bright red crab was washed upon the shoreline of a giant city. 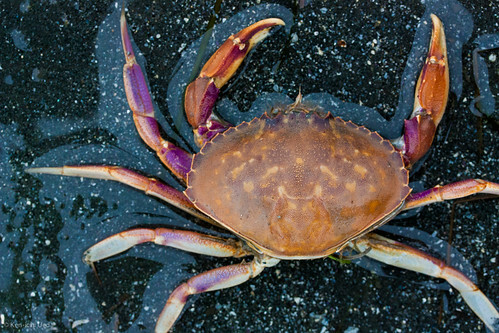 At first the crab was angry at being swept from his home and friends, but then, whilst scuttling back into the surf, he looked above the tide and saw the moon. Awestruck the crab stayed onshore till morning when the pale orb was replaced by a garish sun. He wept. The night after seas were high and again the crab was swept ashore. This time, however, he was not angry. On the morrow seas were calm but the crab found himself on the beach anyway. Friends noticed his absence and pondered where he kept going every night. But the crab was a jealous fellow and kept his midnight wanderings secret. Many tides and moons later, the crab being old and weak-sighted now, he snuck ashore. Having lost his once excellent sense of direction, for the first time, he accidentally faced east—not west—at the ocean. Startled he beheld many moons, countless bright lights, and what’s more they were low, within reach. Immediately he scuttled sidewise towards them, uncertain whether he’d reach one, but thinking the risk worth it for a closer look at the unattainable. Sean Mulroy lives in Newcastle, Australia. His short fiction has previously been published in Oblong, Every Day Fiction, and WitchWorks, among other venues.